Recently, after upgrading to AMD Crimson drivers, I’ve noticed that system started crashing all of sudden. 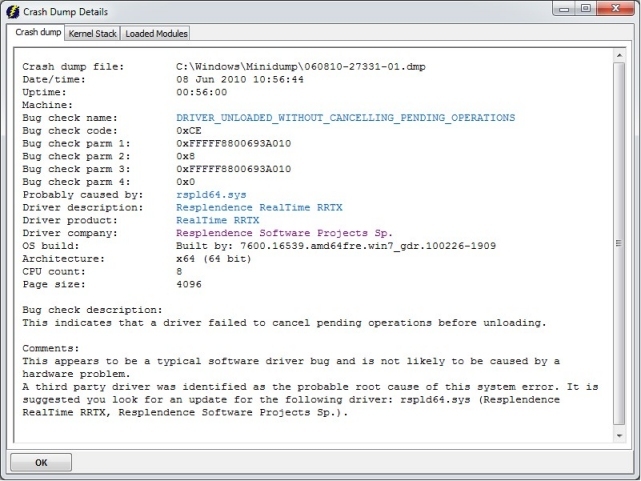 While the most logical thing would be to think that the drivers are the reason causing the crash, Windows error report didn’t made it more clear. Sure, Event Viewer gives you the overview of what happened to system from notifications on services that ran to errors and crashes, but it doesn’t show you the exact and precise reason. For example, searching for kernel-power error can return various reasons that may have caused the crash, but it doesn’t pinpoint it to specific reason. While googling, I’ve stumbled on program called WhoCrashed. Some of you are probably thinking: “You know there is program called BlueScreenView from Nirsoft that does same thing.” I’ve used BlueScreenView in past and it is valuable tool to check BSOD dump files, but in this case it didn’t help me to pinpoint the reason for crash. WhoCrashed works the same way as BSV does. It reads the dump files and analyzes the reason for the crash. As I suspected it turned out that HD audio driver was the problem. 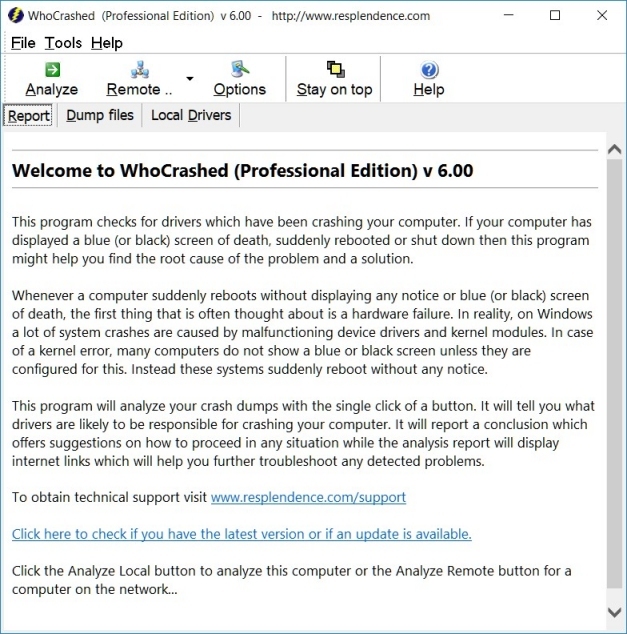 WhoCrashed presents your with clear overview page and status report on what caused the crash and the main culprit behind it. One interesting feature is self-crash test, which crashes your system to check if the system is enabled to collect crash data so that it could read it when it happens. It can also analyze boot level crash if you enter and install it in Safe Mode. While it isn’t portable, it’s really useful to have around in case you are replacing drivers, or if you are power user and sysadmin. Home edition is free for personal use, while if you want to use it for work, you need to buy license. Professional version also has some additional features like uptime reports and analysis over the network. Also be sure to checkout Nirsoft’s website for other useful system administration tools.